Marine has been passionate about the energy world and clean technologies for many years, which took her to contribute to the development of clean energy projects through France, the UK, Spain and Burkina Faso during her studies as an engineer. 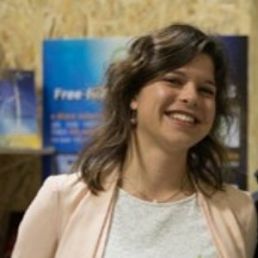 At the International Energy Agency since 2014, she is working on the energy transition in the transport sector through technology and policy analysis, in particular in the field of electric mobility. Taking climate action now is essential and we must leave no one behind in the process. Securing clean energy access for all and seeking solutions for populations most at risk from climate disruptions should be a top priority in climate negotiations. As an energy and transport analyst, I can only encourage my fellow citizens to walk more, cycle more, get on public transport as much as possible, and embrace non-fossil technologies!